WASHINGTON — In an apparent big win for low-income workers, the money bill for the federal government for the rest of this fiscal year bans bosses from stealing workers’ tips. And the measure says if the bosses get caught trying to steal the tips they face a $1,100 fine per occurrence and they have to repay the harmed worker double what they stole. Reps. Rosa DeLauro, D-Conn., and Katherine Clark, D-Mass., inserted the ban in the Labor Department section of the 2,232-page bill after a testy exchange earlier this month with Trump administration Labor Secretary Alex Acosta, who defended his department’s plan to let bosses share or take workers’ tips. At the end, he yielded and told the two Democrats he would work with them on legislation to solve the issue of such rampant wage theft. That’s the ban inserted in the money bill, which passed on a bipartisan 256-167 vote. The ban on bosses taking workers’ tips will help restaurant workers, overwhelmingly working women, many of them minorities, and part of the lowest-paid group of workers in the U.S. Estimates of wage theft from them are in the billions of dollars, all from workers who can least afford it. 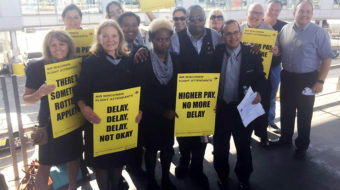 The Department of Labor’s wage theft plan led workers and their allies to mobilize nationwide with protests in 20 cities. 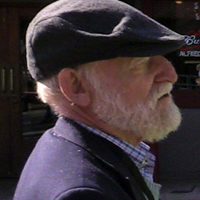 Around 350,000 restaurant workers commented against the rule. 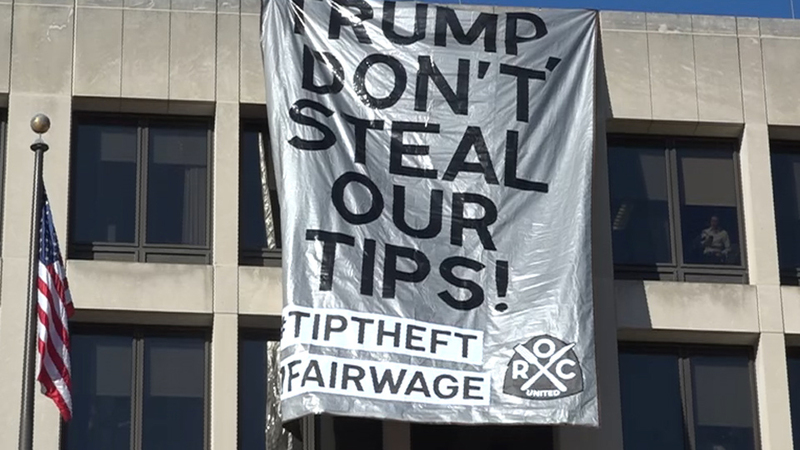 In D.C., ROC’s protesters draped a seven-foot “Trump, Don’t Steal Our Tips” banner down the front of DOL’s headquarters. “Protecting workers’ tips from managerial tip theft would also protect a mostly female workforce from exacerbated sexual harassment,” Jayaraman said. “The next step is we need one fair wage: Elimination of the lower wage for tipped workers so this incredibly large workforce, the majority of whom are women, is not entirely dependent on customer tips to feed their families. When this (money) bill passes, it will represent an enormous step toward that final victory.” The minimum wage for the tipped workers, $2.13 hourly, hasn’t increased in 27 years.